one display for monitoring! 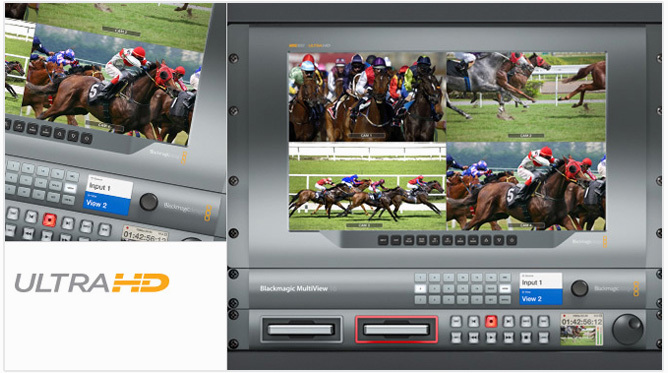 Blackmagic MultiView 16 allows 4, 9 or 16 views to be selected and each input includes a full frame re-synchronizer so you can have any combination of SD, HD and Ultra HD SDI sources connected, all at the same time! 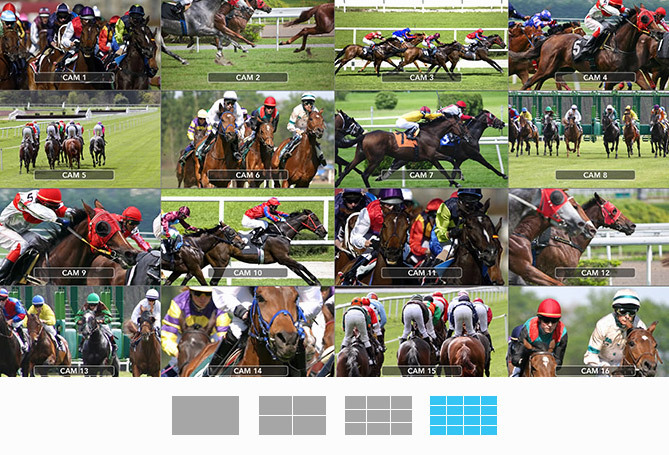 MultiView 16 works with both regular HD as well as the latest Ultra HD displays, so you get maximum compatibility with your existing HD equipment but have the choice to use an Ultra HD monitor for incredible sharpness. That’s four times the number of pixels in each view so your video will look sharper and clearer than ever before possible. Using an Ultra HD monitor means you get an incredible 1920 x 1080 full resolution HD in each view when running 2x2 for 4 views. Even if you're running 4x4 for 16 views, each view will still display an amazing 960 x 540 pixels! You get both 6G-SDI and HDMI outputs so you can connect direct to televisions, video projectors and broadcast monitors. 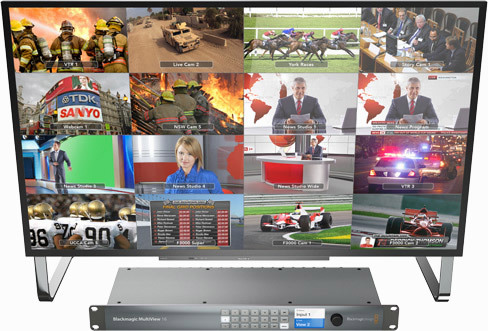 Blackmagic MultiView 16Monitor up to 16 different SD, HD or Ultra HD sources on a single Ultra HD display at twice the resolution per view.